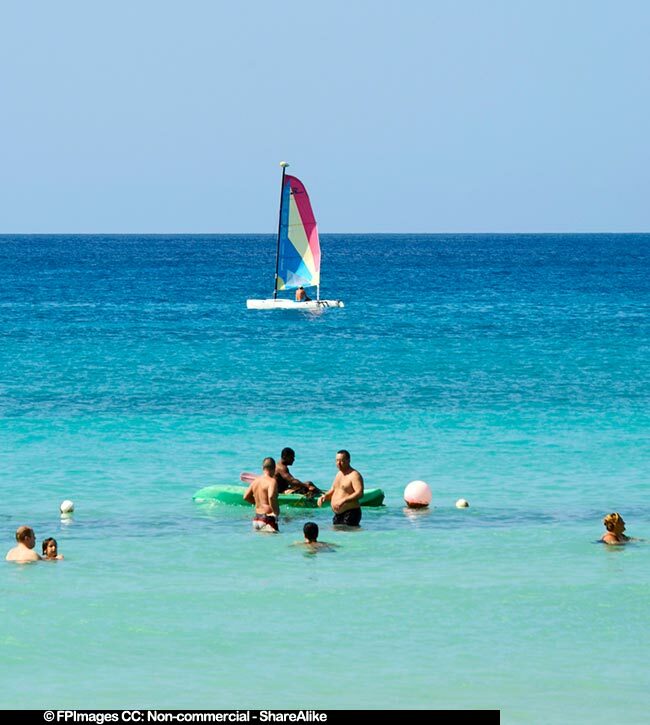 Beach photos in this photo gallery were taken at Catalonia Gran Dominicus all inclusive resort in La Romana, Dominican Republic. 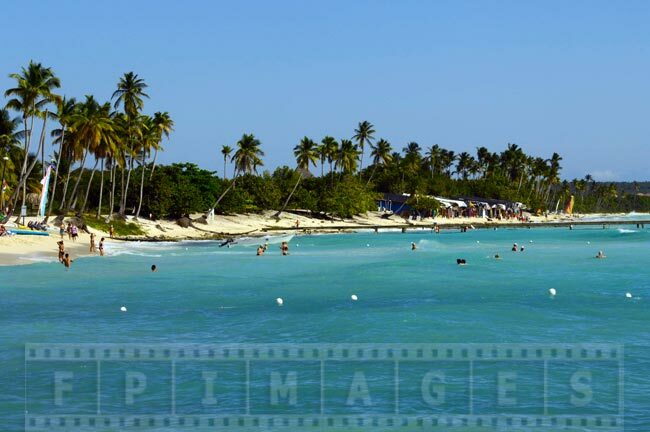 Dominican republic occupies eastern part of Caribbean island of Hispanola. The weather on this tropical island has slight variations and during winter months the seas are usually a bit rougher, sea a little bit cooler. However, approximately from mid March summer like conditions arrive, which are perfect for beach vacation and taking great beach pictures. 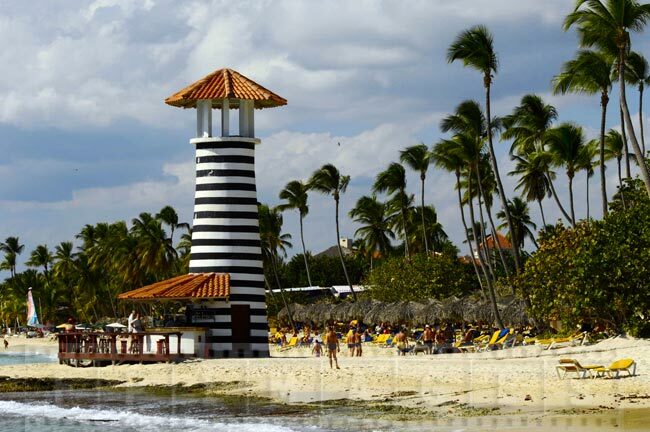 Beach photos will remind visitors later about the great time they had at all inclusive resorts in Dominican Republic. La Romana is a small town in the south eastern part of the island. 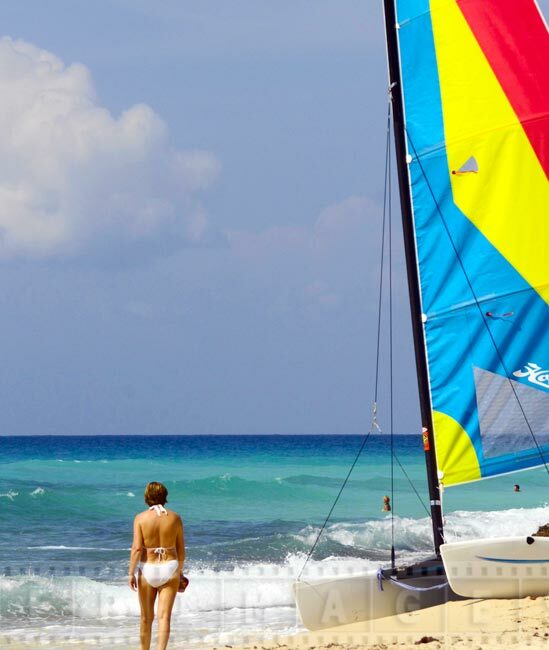 The coast here has just a few resorts as compared to well developed north eastern coast near Punta Cana. 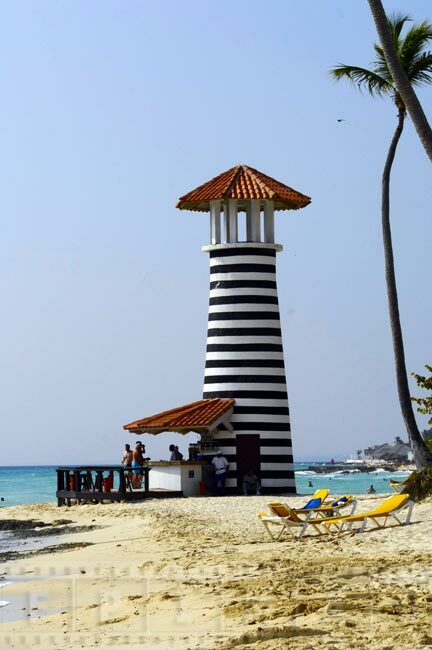 All inclusive resorts are a short drive from the airport near the small fishing village of Bayahibe. 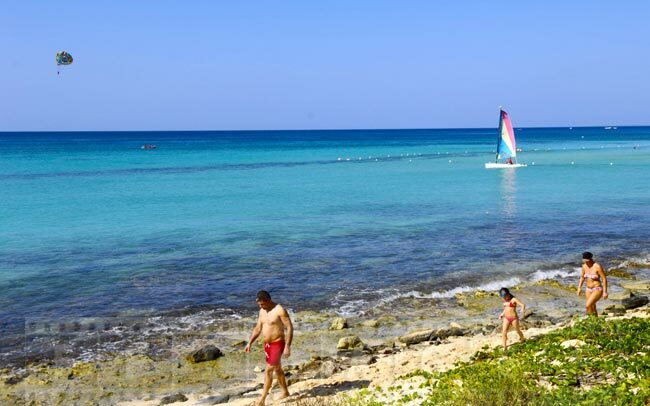 The resorts are very close to the national preservation area Del Este, where Taino people used to live. 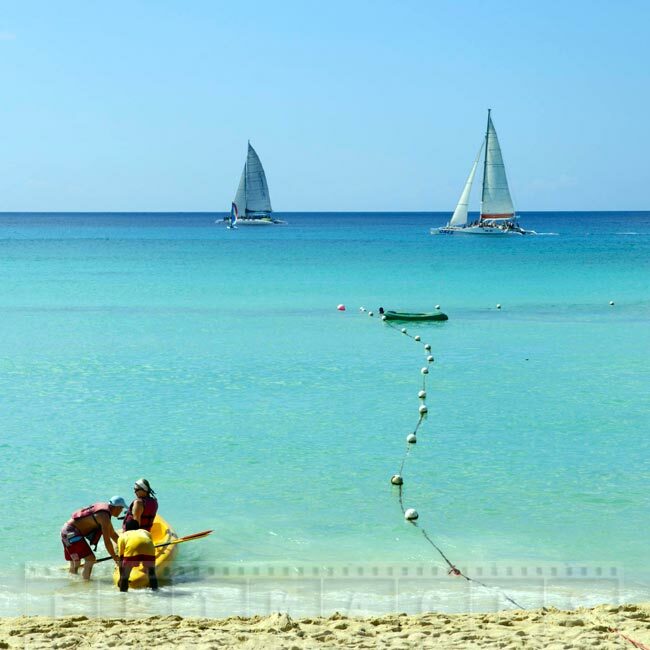 The beach at Catalonia Gran Dominicus has very nice golden sand and a gentle slope, it is not very deep. There are many trees providing shelter from the sun as well there are many small palapa umbrellas and beach chairs. 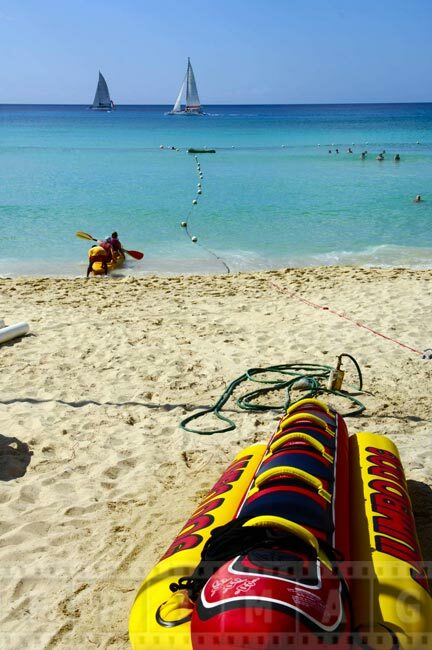 People that like water activities can enjoy free catamaran rides around the bay or paddle the kayaks. People also can also walk for miles in either direction. 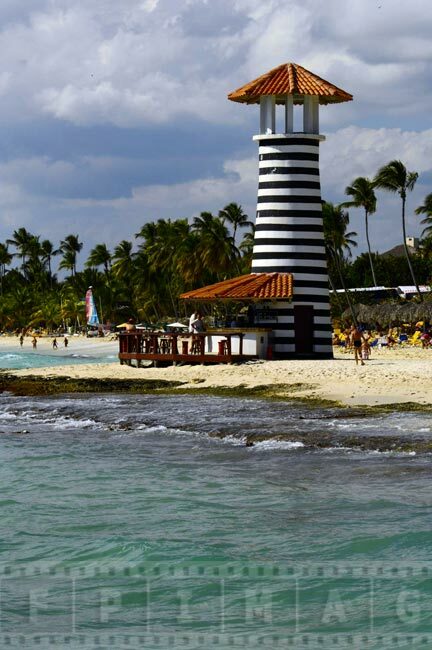 If you walk east past the last resort you will find a Dominican market right on the beach. This is a great place to buy unique Caribbean island gifts to take home. Beach photos from Caribbean holidays can make great beach backgrounds, beach wallpapers or screensavers. 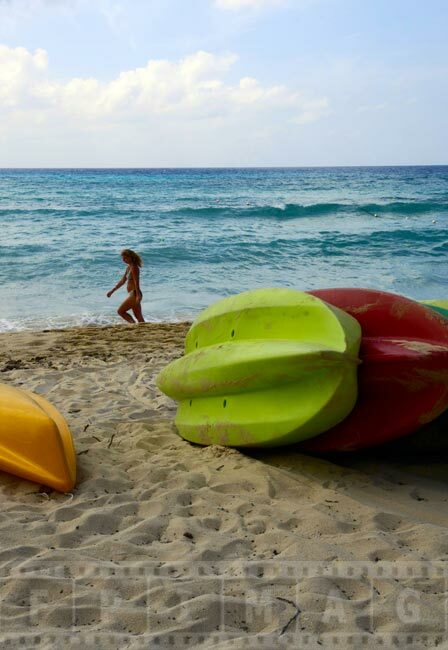 These beach pictures will cheer you up and make you think about the next time you go and enjoy tropical paradise.